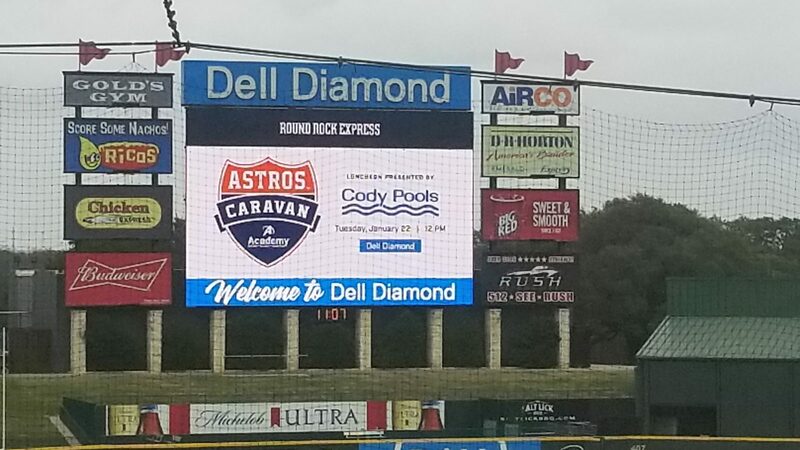 The Houston Astros Caravan made an appearance at Dell Diamond this past Tuesday, January 22nd. Dell Diamond is the home of the Round Rock Express who were the minor league affiliate of the Houston Astros from 1999 through 2010. After 8 years the Round Rock Express are once again the Triple A affiliate of the 2017 World Series Champion Houston Astros. The Astros Caravan visit to Dell Diamond was sponsored by the Houston Astros and Cody Pools. 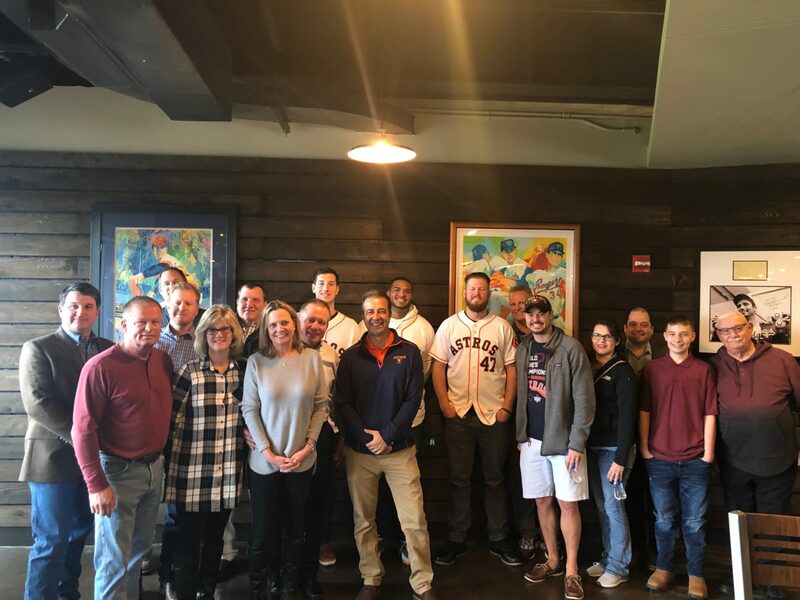 The Astros Caravan featured 2017 World Series Champion pitcher Chris Devenski, pitcher Josh James and outfielder Kyle Tucker as well as Express Founder and current Astros President of Business Operations Reid Ryan and Astros play-by-play announcer Todd Kalas. A large crowd of Astros fans enjoyed a luncheon, interviews with the players and then an autograph session. A video highlight can be found here. Cody Pools gang enjoying their meet and greet with the Houston Astros.